I don't know how it works at your dojo, but at Windsong Dojo, there has always been a policy that everyone ranked shodan or above (or yudansha) is given a key to the dojo. You see, there are no teachers assigned to teach given classes. Here, whichever person attending class that day has the highest rank by default leads that class. In many cases, that's usually the same person, but not always. And many times, the regular class leader won't be able to make it, which means someone else will have to run the show. And as long as a black belt is present, class can be held. So, rather than have a bunch of students standing around outside waiting for one or two people to show up, each black belt has a key to let everyone in. It's an amazing display of trust on the part of the dojo cho that, as far as I know, has yet to be broken or abused. The other week, we promoted a student to shodon in our morning aikido class. He now has a key, and being an early riser, no longer has to wait for anyone else to let him in. It got me thinking about the transition most of us go through from the "color" belts (the kyu grades, or mudansha) to the black belt ranks. 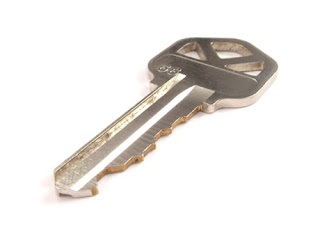 The key that we are given, it seems, is rather symbolic. Becoming a black belt gains you certain privileges, but it also entails great responsibility. You are not only entrusted with a key to something that does not directly belong to you, you are entrusted with all of the dojo's resources: the mat, the weapons, the books, the open space, the training partners, the heat and air, the coffee or tea. You are now responsible to a degree for their condition, care and upkeep. You are all entrusted with the education of other kyu grades. 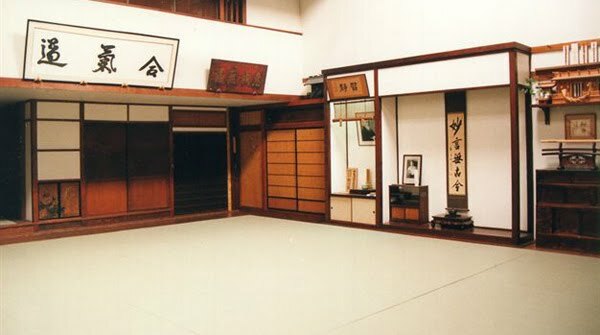 Even if you're not called upon to lead class very often as a shodan, you will still be placed in the position of a teacher and mentor with someone for that class. You are responsible that their questions are answered (by you or by you finding someone who knows). If you see a kyu grade struggling while practicing their ukemi, for example, it's the responsibility of all the black belts to help them and to always remain aware of those needs (which often go unvoiced). If a kyu grade is coming up for promotion, it's your job to make sure they're prepared and either to promote them yourself, or notify a senior grade. It's your job to make sure visitors are welcome; do not ever assume it's not your job, and think "Oh, so and so leading the class will handle it." Stretch out your hand and make everyone feel welcome. You're entrusted with the safety of the kyu grades. 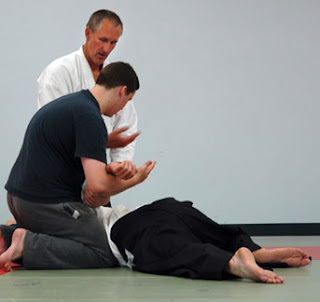 If an accident happens and someone gets hurt, the reality of the situation is that the black belt is accountable, the one working directly with the injured individual as well as the one leading the class. It's your duty to keep your eyes peeled, to be ever aware of what the younger and less experience players are doing; and if it isn't safe, you are the one to put a stop to it. You're entrusted with continuing your own education and training. To a certain extent, we all are ultimately responsible for our own progress, but there's only so much a kyu grade can do on their own. As a black belt, you now have the basics, and no one is going to hold your hand now. Ask questions, study, read, explore, experiment, practice and teach. The training wheels are off, the learner's permit gone. You have a long way ahead of you but the Path is yours to travel. You're entrusted with being an example to the kyu grades. Whether you realize it or not, the kyu grades are watching you. Even if you're the newest shodan among dozens of yudansha, you still represent a goal the mudansha are currently striving to attain. Do you stand around and chat during ukemi practice while the kyu grades do their rolls? Constantly late for class? Joke round most of time, forget to bow, treat your weapons casually? What message are you sending? As a father, I'm constantly aware of my own children watching me and imitating what they see. You are the lens through which the next generation sees the art—do you sharpen the picture, or distort it? You're entrusted with being an example to the world at large. Like it or not, you are a representative now of your dojo, of your organization, of the art itself to the rest of the world. Your words and actions in your day-to-day life will, whether it's fair or not, influence other's opinion of the art and the school where you train, as well as those with whom you train. If you're a jerk, the natural assumption will be that birds of a feather flock together, and your school must not be a very pleasant place to train. If you're cruel, impatient or intolerant, people will assume that martial arts in general supports or even breeds those attributes. Last of all—and this just may be the most unexpected aspect of earning your black belt, this is the metaphorical "key" to real advancement and blossoming—it is not a matter of the peasant becoming the lord. It is quite the opposite, in fact: you, now, are the servant. You serve your students—you don't tell them what to do, you help them learn and grow, and tend to their needs. You serve your dojo—you keep it clean, make sure it's secure and open to those who need it, and help to repair it. You serve the art—if you believe the art exists to make you great, both will flounder; if you believe you are there to make not only the art greater, but by extension the world, all will flourish. You are not a king on a throne, but a gardner on his knees; your privilege is not the absence of toil, but the opportunity to give all that you have. A key is given to every shodan not just for practical reasons, but because the same responsibilities are given to every shodan. You might even consider it a symbol every bit as meaningful as the belt itself. That being said, congratulations and welcome. Now, let's get to work.